I made up this recipe last month having bought the most delicious looking corn at the local market. The bright yellow kernels, still tightly wrapped in their papery husks, were like pearls full of late summer sun-a perfect antidote to the grey damp weather outside. 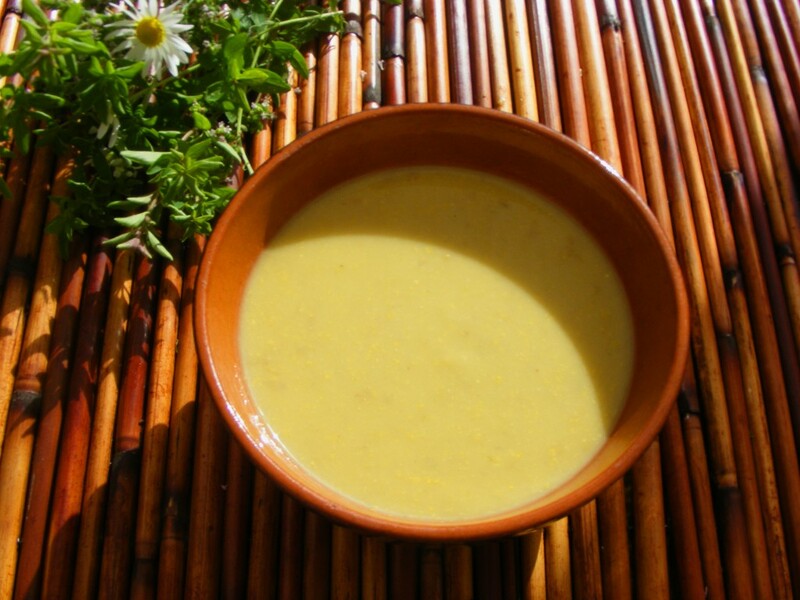 The thought of the corn in a warming, creamy soup was very tempting so I raided the fridge and made a soup based on the ingredients to hand. 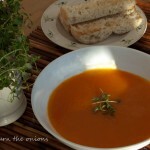 As it was Harvest time, I have called it my late summer soup! Remove husks and any whiskery strands and gently heat the corn on the cob in a pan of water for several minutes. This is only to soften the corn sufficiently to enable you to slice the kernels from the cob with a knife. While corn is cooking, peel wash and chop the rest of the vegetables into cubes and set aside. Remove corn from pan with slotted spoon and cut off kernels taking care that knife doesn’t slip. Set aside. Heat about 1 tbsp of oil in a large pan and when oil is hot, add onion. Fry gently for one minute, then add leek and pumpkin. Leek burns easily so keep an eye on the frying vegetables. Once they have softened and yellowed, add corn and potatoes. Add grated ginger and nutmeg. 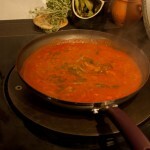 Cook gently until vegetables are soft. Liquidise to a smooth creamy consistency. Check seasoning and serve with warm crusty bread. © (Suzette McDaniel Don’t Burn The Onions) Unauthorized use and/or duplication of this material without express written consent from this blogs author and/or owner is strictly prohibited. 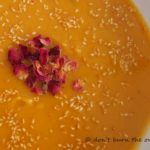 This entry was posted in All Recipes, Soups & Sauces and tagged easy, family, Glut cooking, potatoes, pumpkin, red onion, Soups & Sauces, sweetcorn, vegetarian by dontburntheonions. Bookmark the permalink.